Whether walking or standing still, safety footwear has to fit perfectly. uvex medicare’s orthopaedic foot protection is individually adapted to optimally help wearers’ medical problems relating to the feet. There is autoclavable safety eyewear. 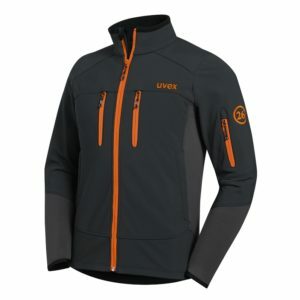 And then there is uvex CR. 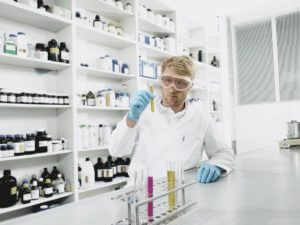 Professional occupational safety for laboratories, clinics, cleanrooms and food manufacturing. We have developed the first autoclavable safety goggles with anti-fog coating for specialist requirements. From ultra-light safety spectacles to goggles with a panorama lens, the uvex CR range offers the perfect safety eyewear for any area of application, specifically designed for repeated autoclave sterilisation. Steam sterilisation by heating in an autoclave is a widespread practice in the pharmaceutical industry, in laboratories, medical practices and hospitals. The aim of this process is to achieve the maximum level of sterilisation (i.e. elimination of all viable microorganisms such as bacteria, spores and viruses). Steam sterilisation is considered to be the most effective sterilisation process (compared to gamma rays and chemical sterilisation). Alongside an exemplary level of protection, our uvex CR eyewear offers maximum functionality, outstanding wearer comfort and innovative design. This is first-class protective eyewear “Made in Germany”. The revolution in cleanrooms – uvex CR with anti-fog coating. From complicated procedures in operations to working in pharmaceutical manufacturing, employees must be able to completely rely on their protective equipment at all times. uvex CR eyewear is specially designed to meet the highest demands of medicine and the pharmaceutical industry. The special anti-fog coating guarantees perfect anti-fogging, during physically demanding work as well as in extremely warm and damp conditions. They can also be perfectly combined with respirators. uvex CR eyewear can be autoclaved up to ten times (20 minutes each cycle, at 121°C), after which replacement of eyewear is recommended, or lens replacement in the case of uvex ultrasonic CR wide-vision goggles. In some areas, it is not only the person, but also the product which needs to be protected. For example, in cleanroom production, a single dust particle can damage delicate components. Autoclavable uvex CR safety eyewear is perfectly suited for sterile working environments, e.g. food production. At the same time, the eyewear not only fulfils all safety norms in accordance with EN 166, but even exceeds the requirements. From the innovative anti-fog coating to the duo component technology for maximum wearer comfort, the pioneering functionality of the uvex CR means it is the optimum protective equipment for use in research and development. In addition to sophisticated functionality and optimal comfort, our products set themselves apart through modern, sporty designs. Always have everything in view – with non-fogging uvex CR safety eyewear. At only 98g, the uvex ultrasonic CR are very light autoclavable wide-vision goggles. The anti-fog lenses with a wide panoramic field of vision guarantee optimum vision at all times. They offer exceptional wearer comfort through duo component technology and an adjustable silicone headband. Indirect ventilation ensures a pleasant non-irritating interior environment. They can also be worn over most spectacles. In contrast to the ultrasonic CR, competitors on the market are all uncoated. These globally unique autoclavable goggles with anti-fog coating are a step ahead. The coating is an unsurpassable benefit for the wearer, particularly when combined with respirators. uvex super fit CR are autoclavable and extremely lightweight spectacles. The ultra-thin, scratch-proof lenses offer optimum protection against mechanical hazards. The innovative anti-fog coating guarantees a perfect panoramic field of vision, even in high air humidity and when exposed to extreme temperature variation. uvex super f OTG CR is autoclavable eyewear with innovative lens technology. The panorama field of vision ensures absolute anti-fogging and maximum vision. Also specifically suitable for use over prescription spectacles. The extremely flexible soft ear pieces adapt perfectly to the head shape and ensure a secure and pressure-free fit, even when worn for extended periods. All uvex CR models meet the specifications of optical grade 1 and all safety norms in accordance with EN 166. The eyewear is manufactured from non-allergenic materials which are free of harmful substances, and is of course “Made in Germany”. 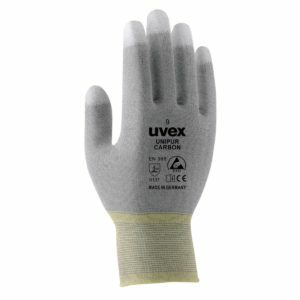 uvex CR for medicine and the pharmaceutical industry. Sterile eye protection in every situation. As a family-run company, we take a long-term view and the issue of sustainability is always, has always been and will always be a high priority for us. Products which touch the skin, such as fabrics, must fulfil extremely stringent criteria which not only exceed EU directives, but set new standards in environmental friendliness. The fundamental principle behind sustainability is to add value throughout the supply chain. Consequently, commitment to sustainability is playing an ever greater role in product development, in particular. Collection 26 was developed on the basis of these requirements. The main components of the models comprise materials made of recycled polyester and organic cotton, supplemented by parts made from recycled polyester.